Valinda Andree Wilson, the daughter of the late William Jackson Wilson Sr. and the late Beulah Frazier Wilson, was born July 27, 1948 in Durham, North Carolina. She was the sister to the late Gloria Wilson Elmore, William Jackson Wilson, Jr., Patricia Wilson Porter, and Lonnie Arnaz Wilson; all of whom preceded her in death. Valinda departed this life on January 21, 2019 after an extended illness. Valinda attended Durham City Schools and graduated from Hillside High School in 1966. She, then, attended North Carolina Central University with a major in business. On April 15, 1968, she married Oscar Cicero Leach. From this union, they had three children, Oscar C. Leach, Jr., Alissa Lynette Leach, and Michael Phillip Leach. On April 13, 2018, their daughter, Alissa, departed this life. Professionally, Valinda worked as Ward Charge Nurse at Duke Hospital in Durham and later as Ward Charge Nurse in Newport News, Virginia. Upon her return to North Carolina, she established residence in Raleigh and worked for the City of Raleigh as Privilege License Supervisor until her retirement. At an early age, Valinda accepted Christ as her Savior and joined Saint Mark A. M. E. Zion Church in Durham, NC. In Raleigh, NC., she attended Smith Temple F.W.B. Church. She was a loving and devoted mother, family member, and friend who shared her joy in life on the job, in the church, in the community, and with everyone she met. She never met a stranger. 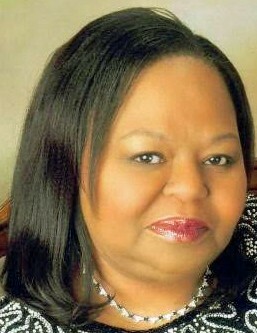 Valinda is survived by her two sons, Oscar Leach (Shantaine) of Oxon Hill, Md, and Michael Leach of Washington, D.C.; grandchildren Kelsey Merritt, Arion Staten, Brianna Aultman, Bryson Leach, Michai Staten, and siblings Portia Wilson-Whitaker, Deborah Wilson Steele, and Bobby Van Wilson as well as a host of nieces, nephews, cousins, other relatives and friends.